WorldMovieStore - The Cabin In The Woods Sinopsis. A rambunctious group of five college friends steal away for a weekend of debauchery in an isolated country cabin, only to be attacked by horrific supernatural creatures in a night of endless terror and bloodshed. Sound familiar? Just wait. As the teens begin to exhibit standard horror movie behavior, a group of technicians in a control room are scrutinizing, and sometimes even controlling, every move the terrified kids make! With their efforts continually thwarted by the all powerful eye in the sky, do they have any chance of escape? Read More Sinopsis. 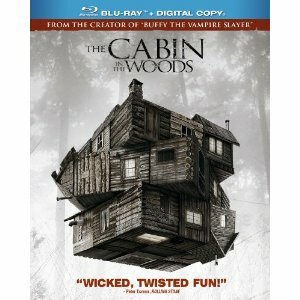 0 Response to "New Release The Cabin In The Woods Blu-ray"